The first impression you get when stepping onto the Salt is that the place is eerily clean. It feels sterile, serene, like you've stepped onto another planet. 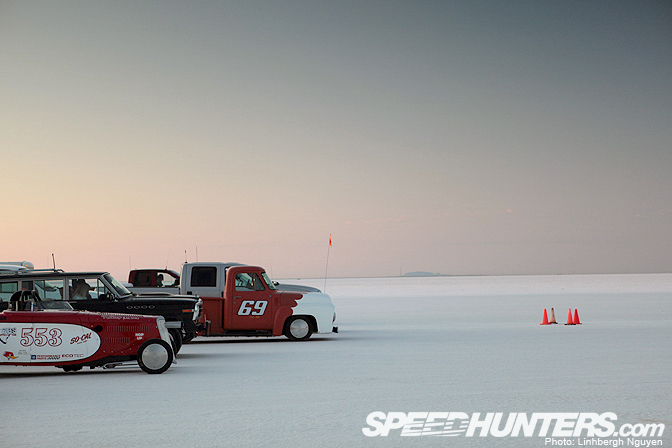 So, as we close up speed month, let's take one last look at the Bonneville salt flats. 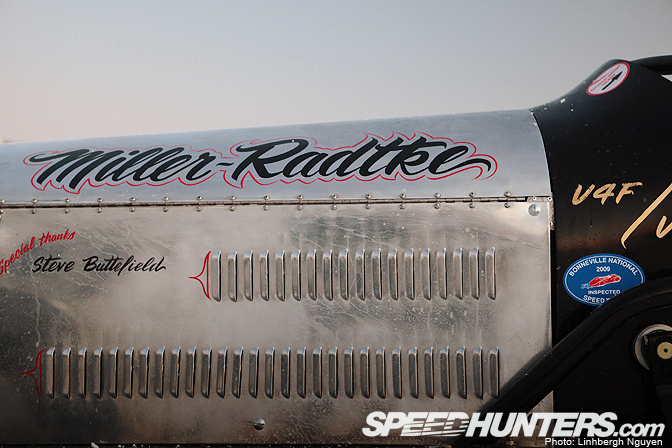 The design of a lot of these land speed roadsters remind me of World War 2 fighter planes. They're simply amazing. 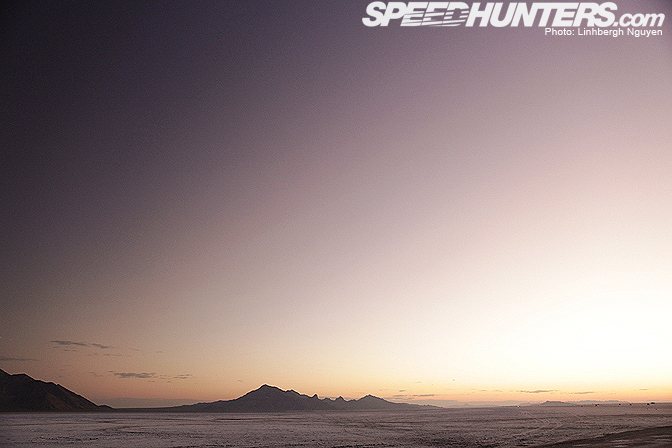 Early mornings are easily the best time of day to be out on the Salt. 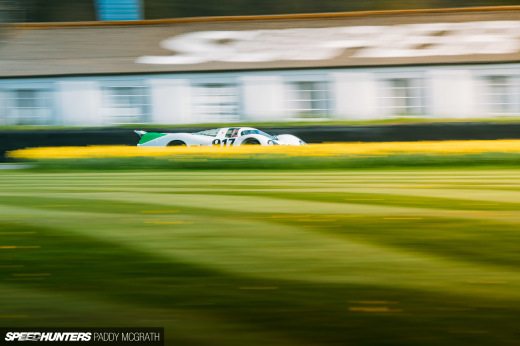 There are barely any spectators out, and the only thing you hear is the sound of V8s thundering across the flats as different teams' conduct early morning high speed runs. … and this proves it. 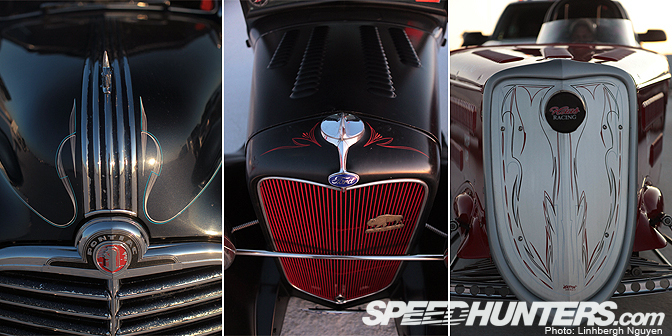 The front grills of various cars all take different design cues, but they all belong together. 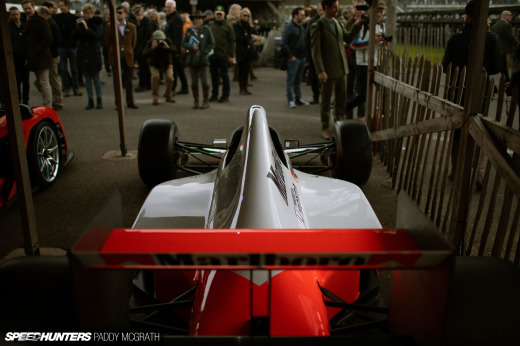 The different pin-striping on the various cars is really something that you have to get up close to see. 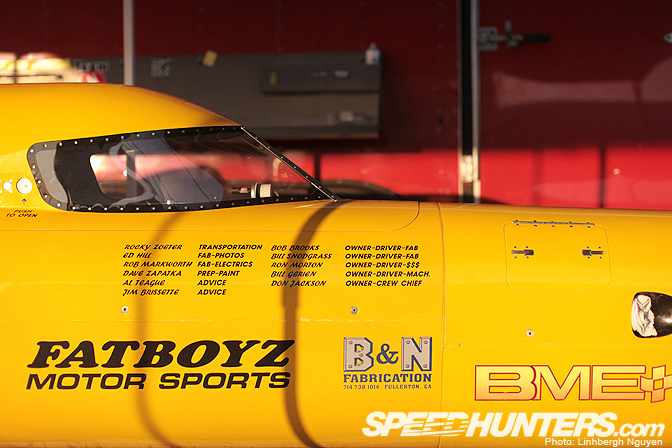 Here's a peek into the huge engines that run these streamliners. Driving along the salt with no hood is so hard. The salt itself is a character in its own right, it acts in ways you would never think it would. 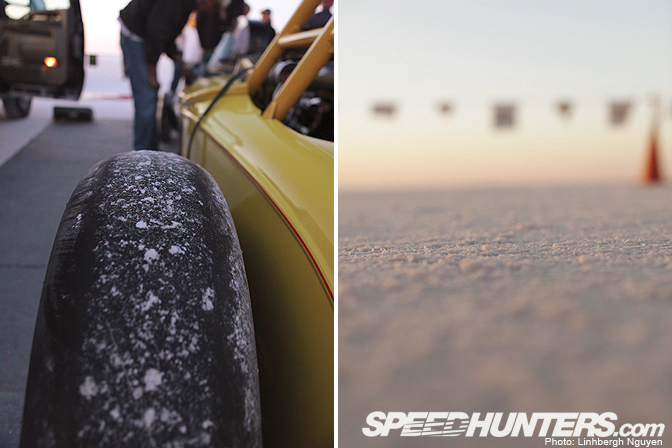 You wouldn't notice it from the pictures, but the salt is actually a bit damp because it draws moisture from the air. You'll see veterans of the flats trying to beat the heat by walking around barefoot. …whereas this one looks like it came straight from the future. Here on Speedhunters, we mostly keep our coverage to cars, but the amount of various high speed bikes is somewhat difficult to ignore at this event. 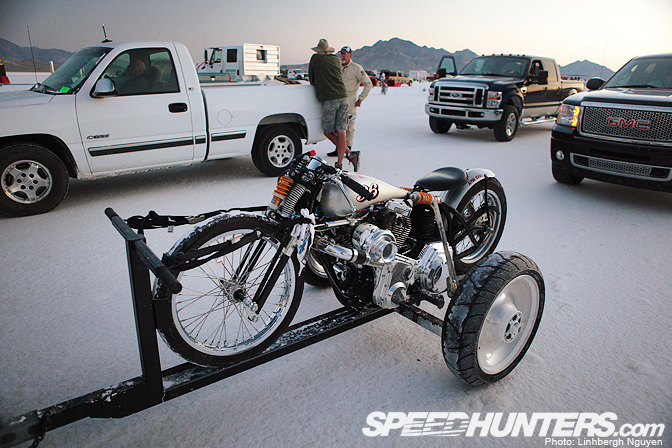 This particular bike caught my attention; the style that oozes from it is insane. 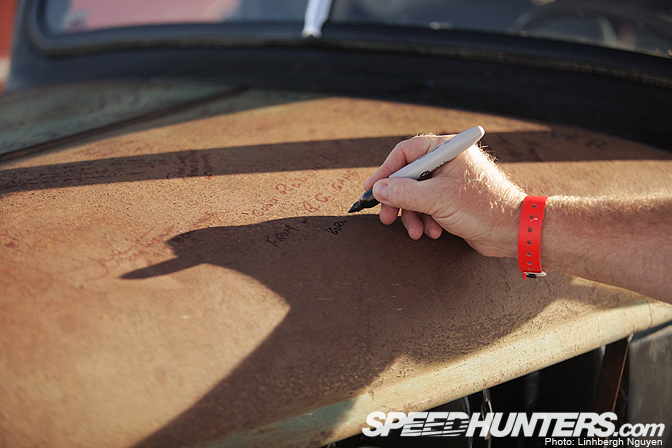 Here's a photo of John Brooks signing his name and where he's from on a spectator's rusty hood. The owner of the car let anyone sign the hood; what a fantastic memoir from the trip! 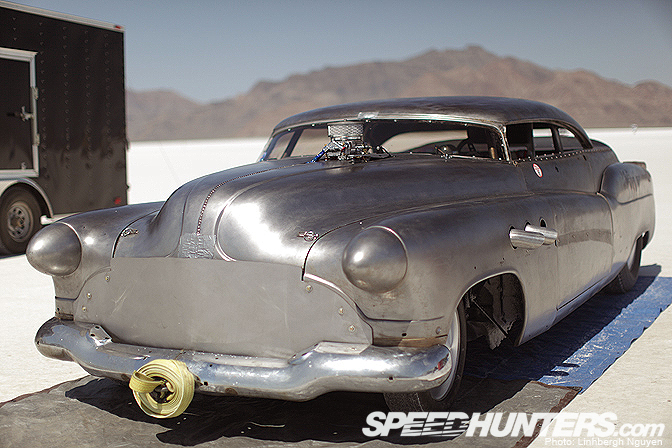 Now this a unique looking 1952 Buick. The bare metal is a great touch that reminds me of the Boeing B-29 Superfortress, I'm not sure if that was the look Harvey Earl was going for. Photo nerd warning: utter nerdiness is coming up! My attempt at a slow shutter speed rolling shot was ground to a halt when I realized that there is absolutely nothing to contextualize the sense of speed or movement out on the flats. Believe it or not, the shutter speed on that shot is pretty darn slow. Often times, people will just park their car way out on the salt to take photos, or wait for photographers to come by to take photos of their car. 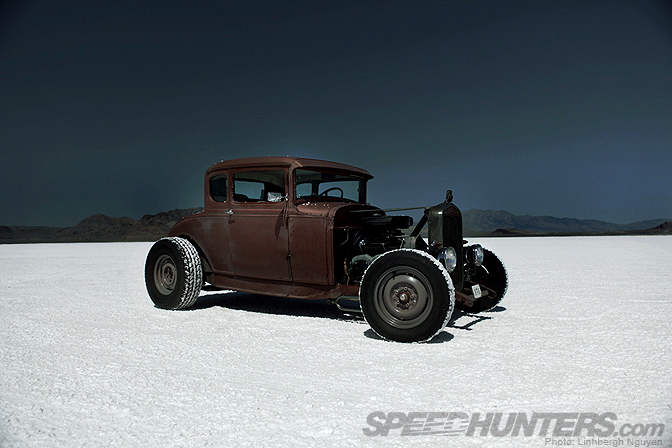 The owner of this hot rod had taken his grandson out to Bonneville the previous year, and the kid loved it. 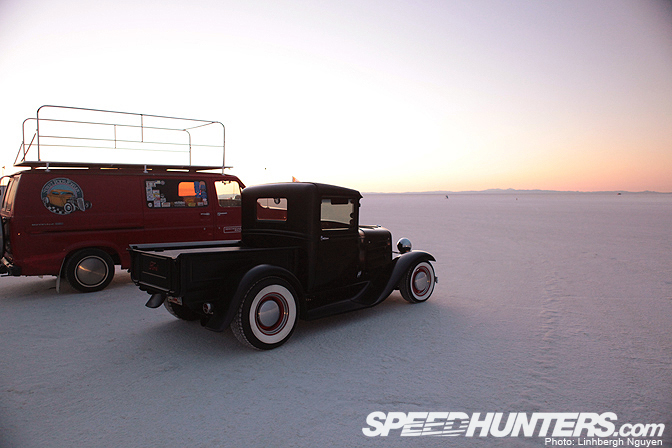 The kid's father wanted to experience what he had heard from his own son, so this year he took some time off work to drive hundreds of miles to Bonneville with his dad–imagine the strengthening of family bonds during that journey! 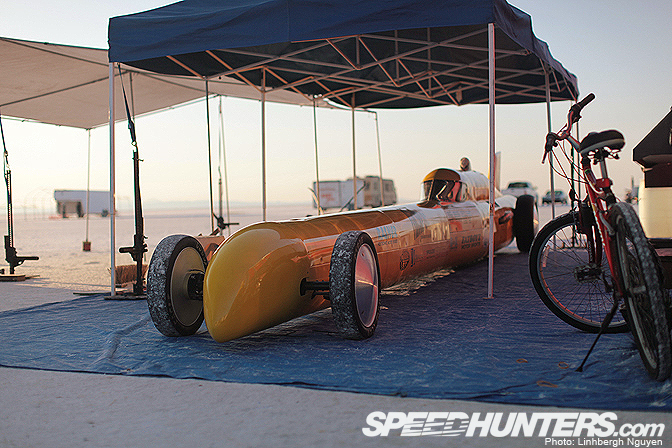 Here's a last shot to close out this last bit of Bonneville coverage with. The single biggest impression that you walk away with is the sense of immense space. 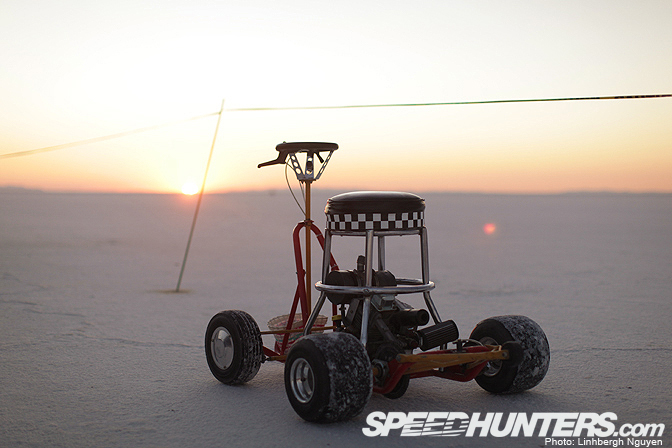 The experience of being on the Salt is like no other motorsport event in the world. 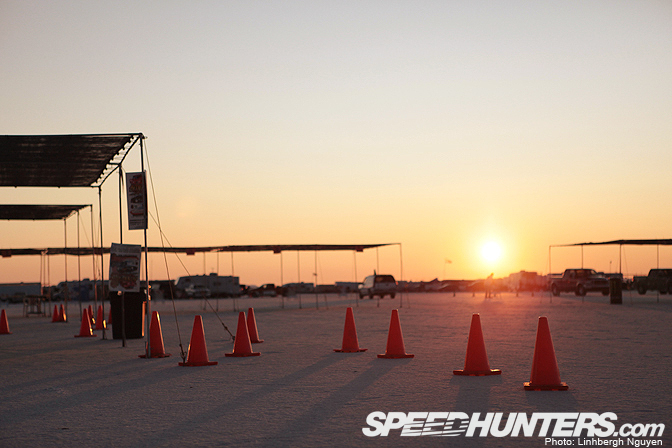 Do yourself a favor and get into your S13s, EG6s, Ford Focus, VW Golfs/GTIs and drive out to next year's Bonneville Speedweek. The boys that attend regularly would love to meet new faces and share their insane experiences on the Salt. You won't regret the drive, and you won't forget the experience. I love the pictures! the article makes me want to go now! I would love to go, from Kelowna BC it is a bit of a drive though. Is possible to make first photo in hi-res? As a wallpaper? Look for a miata next year, running the strip too not just parked! excellent pictures, 8th one with the hoodless blue coupe MUST be a desktop! the last one is also very good. B.C. is far. Thanks for your coverage! Can't for next year. YOu know, there's an event in Sept and another in Oct too. 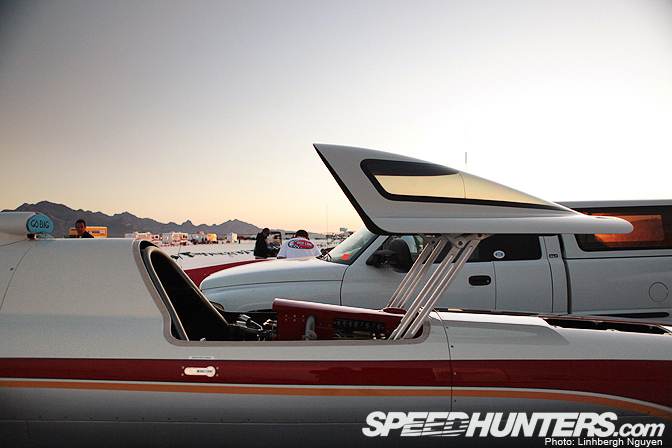 See you on the Salt! !!!!!!!!!! that motorcycle has the fattest turbocharger i've ever seen! 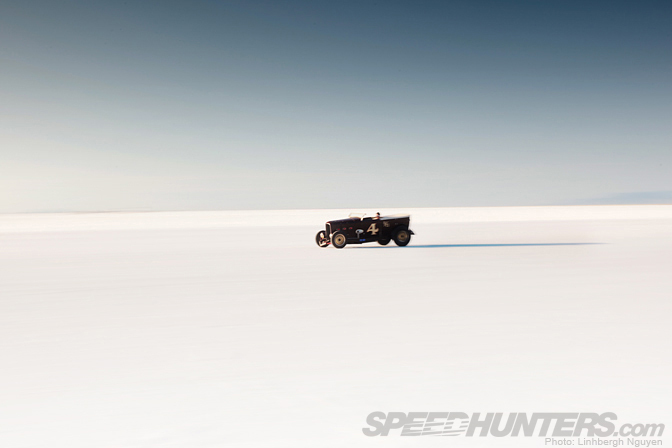 Fantastic photos, I just wanted to comment about the 1934 roadster (553) in the first photo. That car belongs to Todd Haas and it ran under our SO-CAL Speed Shop/GM racing team. 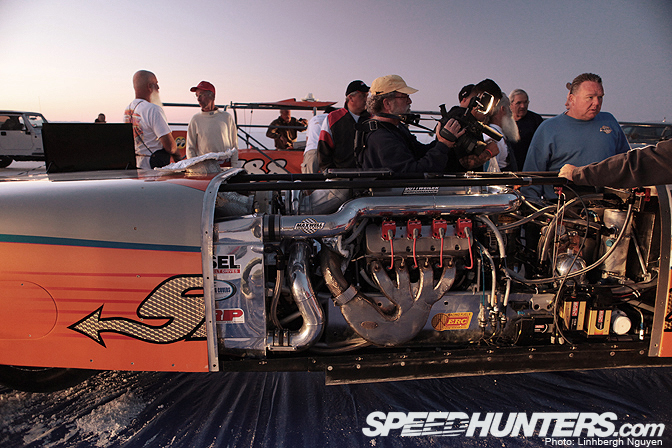 It's powered by a GM Ecotec 4 banger, I think it runs somewhere around 240-mph. Amazing output for such a small motor. 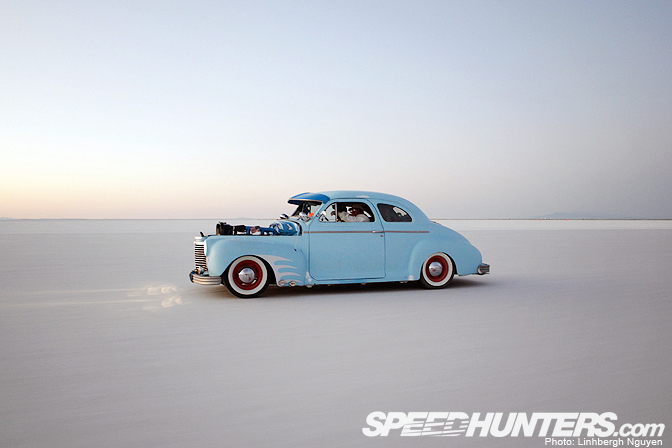 You got some great shots out there in Bonneville. Hope you enjoyed the experience.